No more boring storage boxes and plastic bins! 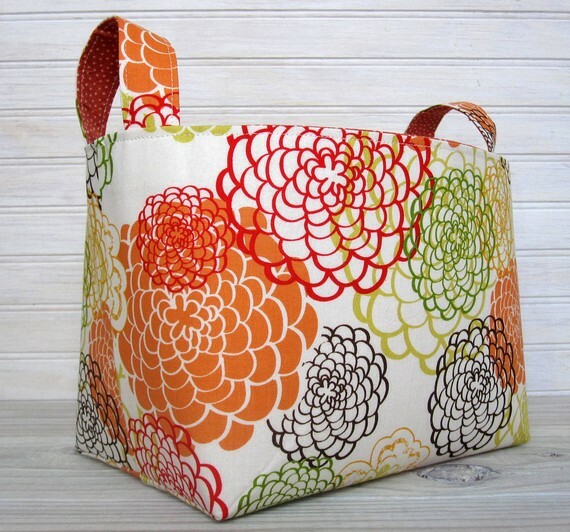 Think outside the box (literally) and consider these ADORABLE canvas bins instead! 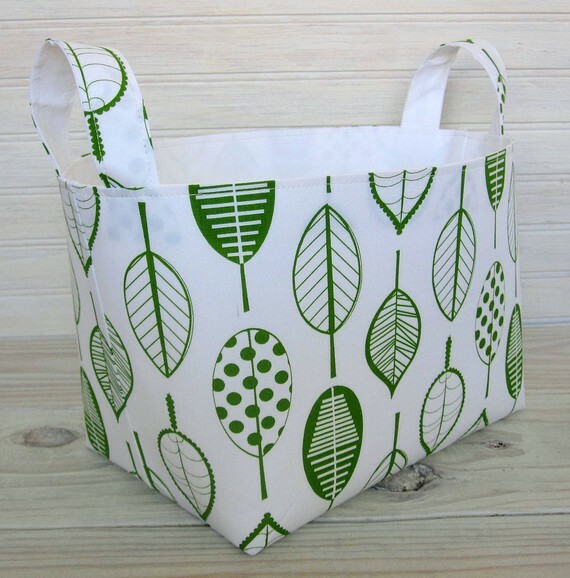 They are great for storing kids toys, magazines, books, and other items that might be difficult to store away. I could find a million uses for these colorful bins- and because they are so flexible, they are great for oddly shaped items. 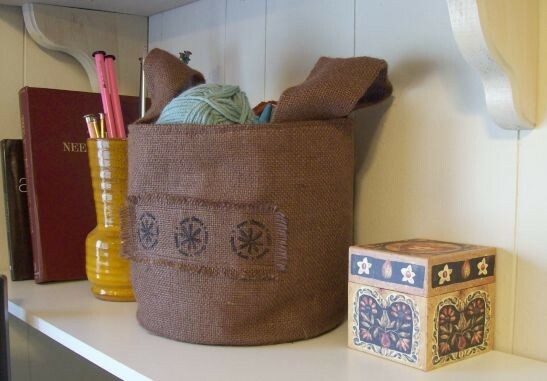 This burlap bin found on Etsy by HappyGirlzDesigns is a perfect little catch-all.